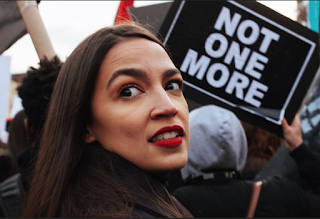 MSE Creative Consulting Blog: Sunday Fun: Socialism For Socialists on Social Media! Sunday Fun: Socialism For Socialists on Social Media! At MSE Creative Consulting, we are passionate about liberty and free enterprise. Nevertheless, we understand that some are struggling. In just the past week, I saw one man who has been a member of Twitter since 2009 with only 13 followers! No matter how hard that poor man worked, he could not get ahead! That is simply unfair, especially when you see people with such an abundance of followers that could not have been obtained except by cheating or other unfair advantage. So, I am calling for Rep. Alexandria Ocasio-Cortez to agree to my Social[Media] Justice Twitter Fairness Plan -- a scheme to tax the rich Twitter accounts at a rate of 90%. That would leave her with 246,000 which is more than enough. For example, it is 239,241 more than my number of followers. After all, a system that allows one person to have millions of followers is immoral. By adopting my Social[Media] Justice Twitter Fairness Plan, the government could then redistribute her excessive 2,230,759 followers to more worthy Twitter underachievers. On October 15, I'll introduce my Trick or Treat Candy Morality Plan where everyone, regardless of how many doors they call on, gets the same number of milk duds.